Are you a visual learner? Some of us here at the Ministry of Transportation and Infrastructure sure are. One of the best ways to discover conditions along your B.C. 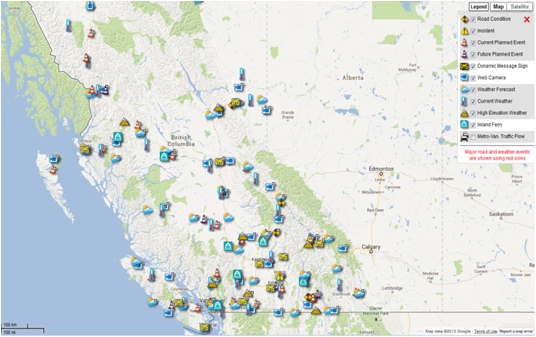 highways route is to use DriveBC’s map view feature. To help you make the most out of the DriveBC map view, we have a video in the Touring DriveBC tutorial series. Watch and learn!